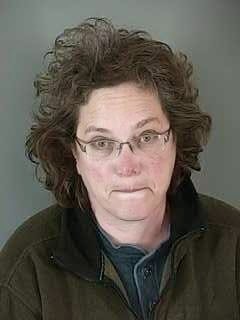 Eugene, OR (Dec 11)--After nearly four months behind bars, Oregon Criminal 1675174 Deborah Ellen Frisch has been released from jail. But a nasty little surprise was waiting for Miss Debbie: her parents sold the 5 Acre Ranch in Eugene! "The family left a note with her possessions [in jail]," reported an anonymous source. The sale was effective 9 December. Miss Debbie also blogged a cryptic post on Saturday, apparently bidding "adieu" to Oregon.